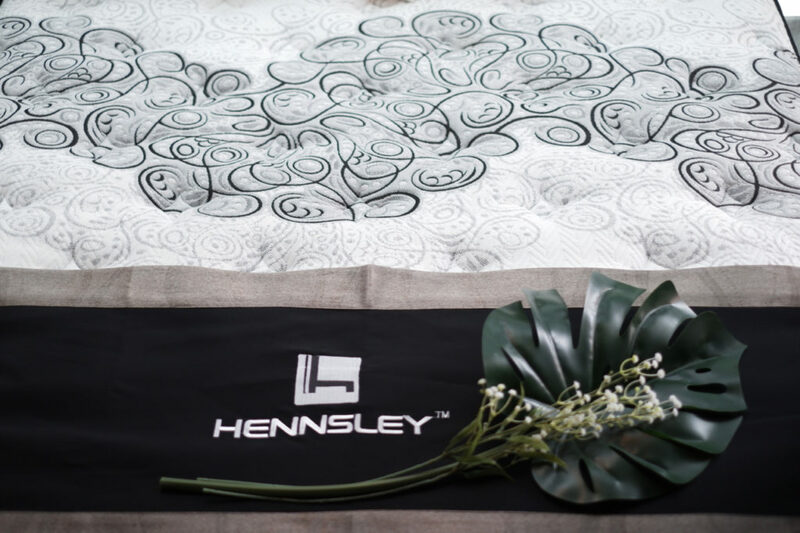 I have been having insomnia for a while and since it is going to be the start of a brand new year, I thought about checking out Hennsley® showroom to see if there are any mattresses that can help me rest better at night. Kaiser came along with me since it is the school holidays so it was also mummy and son bonding time while we check out the mattresses. The showroom was located at Hennsley Sleep Sanctuary @ East Coast 66, East Coast Road, #01-01, The Flow, Singapore 428778. It was pretty easy to find our way here. 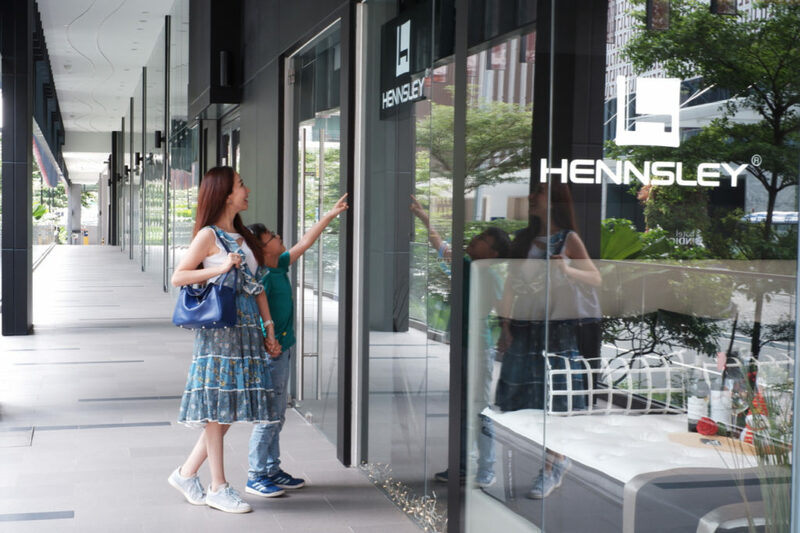 Being a local entrepreneur myself, I was happy to know that Hennsley® is a home-grown brand founded by Mr Marcus Goh. It is not easy to start, grow and sustain a new business in Singapore where it is very competitive so I have high respect for people who strive on. Hennsley® mission statement is to provide good quality bedding products to consumers, thereby improving their well beings and lives and it totally resonates with me as I need better sleep. The showroom is 2 storey high with a good selection of mattresses for me to review. After doing some research on http://www.hennsley.com/, I am curious to find out more about Hennsley® Ergopeutic® Premium Series. All the mattresses under this range has excellent ergonomic support through the revolutionary 7-ZonePocketed Innerspring Sleep System. What this means is that each zone has different thickness of the springs to provide a define support for different parts of our bodies, giving our body the utmost support during sleep and reducing toss and turn at night. Below is just a cross section of a sample to show customers what is meant by the different zones. Hennsley® Ergopeutic® Premium Series also helps to keep our bodies feeling cool and dry with the “Performance-Enhanced Imported Belgium Fabric”. The fabric is specially treated with temperature sensitive polymer. Our body temperature is regulated through evaporation hence, when our bodies heat up the textile, the heat will be pushed through it. 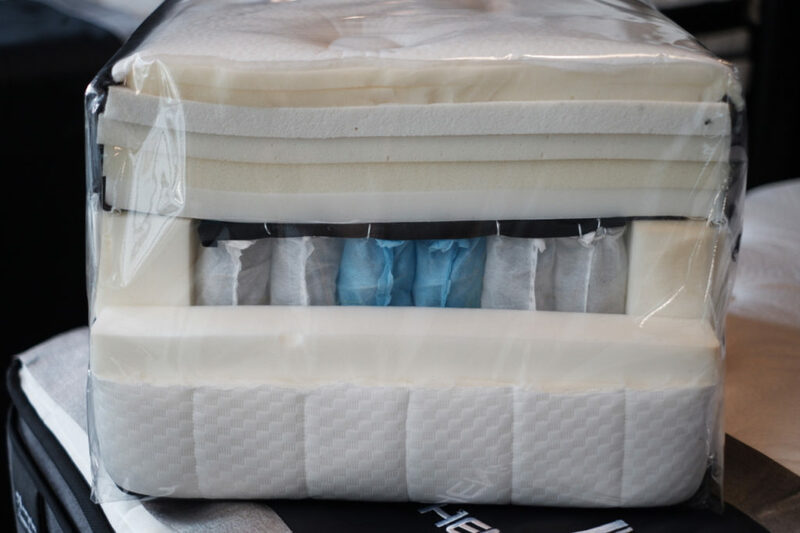 It allows effective evaporation, thus reduces humidity and enables a cooling effect and we can achieve a good night’s rest as it reduces body stress when sleeping. Eliminating insomnia and sleep disruption are what I am looking for and Hennsley® Ergopeutic® Premium Series do just that as well. Our bodies produce high voltages while we are asleep and research has shown that a high voltage body stimulates the production of Cortisol, a stress hormone that keeps us active and awake in the day. However at night, without proper avenue to release our body voltage at night, we will produce a high level of Cortisol, which can affect our sleep, causing insomnia and sleep disruption. 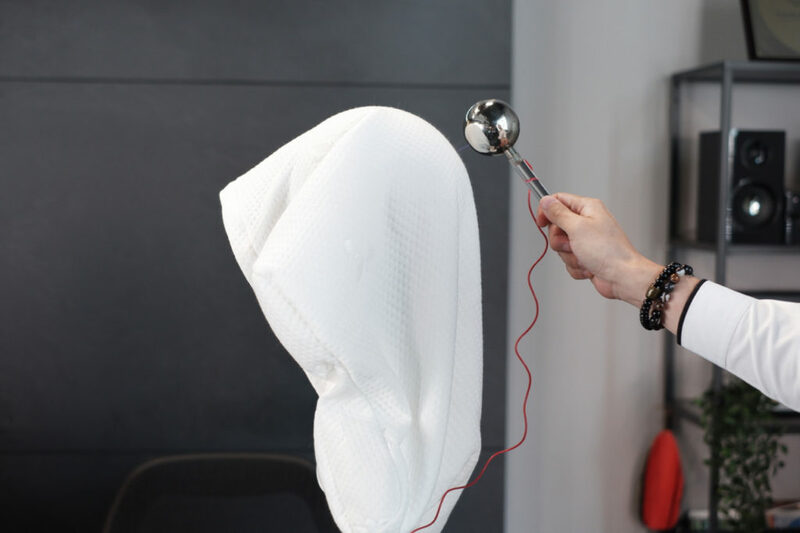 You can see in the photo above that with a normal fabric, it will produce static electricity causing us not to have a good rest. 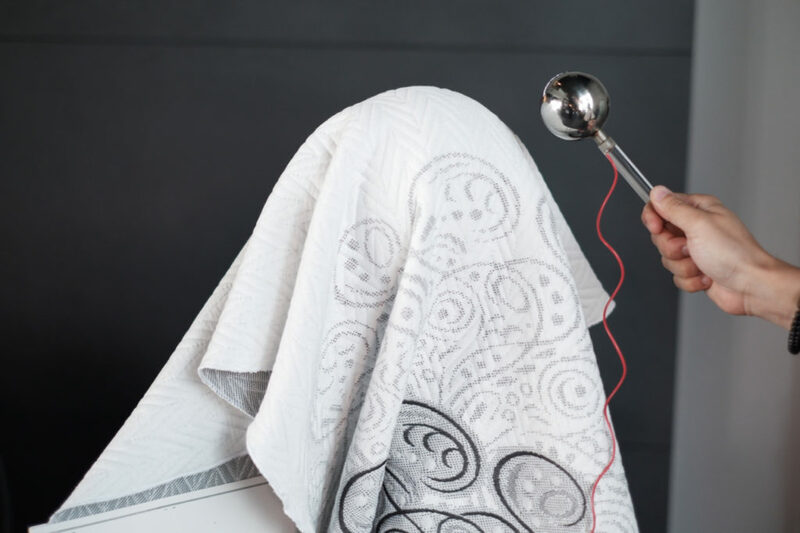 The Belgium Fabric uses Nega-Stat Trilobal Carbon Threads, which capture our bodies’ electrons and releases them into the air, thus reducing our bodies’ voltage, resulting in a lower Cortisol level, which gives us a much deeper and relaxing sleep. Doing the same experiment again, there is no sight of static electricity produced. All Hennsley® Ergopeutic® Premium Series has a logo as per below to show that the mattresses are indeed the authentic ones under this series. 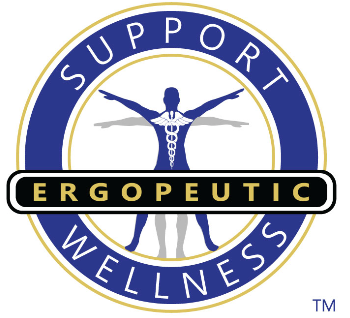 Time to check out the Hennsley® Ergopeutic® Premium Series. The mattresses featured below are Hennsley® Stephanotis Floral Collection (Plush Pillow Top on Euro Top), following by Heather Flora Collection (Euro Top), Windsor Castles Collection (Double Euro Top), Eremurus Flora Collection (Euro Top) and Richmond Castles Collection (Euro Top). All the mattresses feel so comfortable to the touch that I know that I can definitely fall asleep easily if I were to lie down on them. Each mattress has its own firmness to cater to different people’s needs. Hennsley® Ergopeutic® Premium Series mattresses are all so comfortable that it was so hard for me to choose my favourite one amongst them all. I guess if I had to make a choice, then Hennsley® Stephanotis Floral Collection (Plush Pillow Top on Euro Top) which is the most premium one, is my personal favourite as I like the firmness of the mattress yet it is not too hard that I feel uncomfortable on it. This mattress has more layers hence it is higher than the rest of the mattresses while giving it extra height. If you are like me who is in need of a good night’s rest, I strongly encourage you to visit Hennsley Sleep Sanctuary @ East Coast 66, East Coast Road, #01-01, The Flow, Singapore 428778. 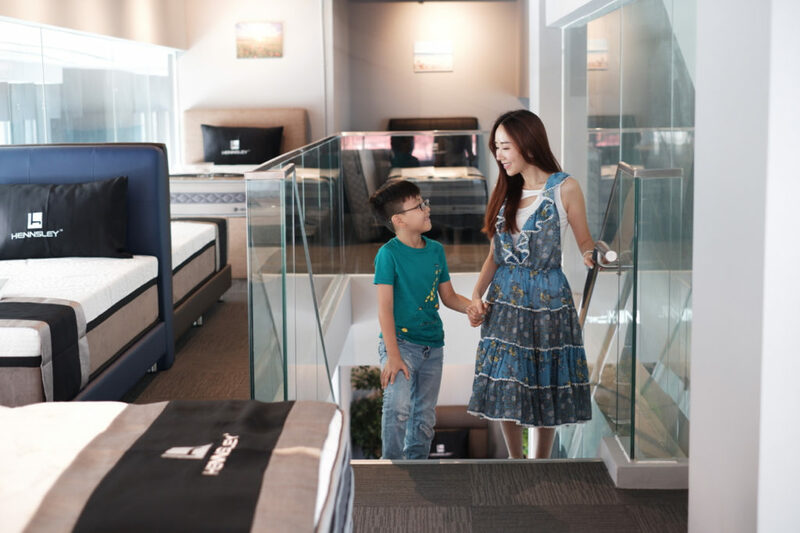 Ask the experts there on which mattress suits you the best and test the mattresses out to see which one is your favourite!